Socialize Me: Social Connections VIII is coming to Boston -- Register Today! Social Connections VIII is coming to Boston -- Register Today! 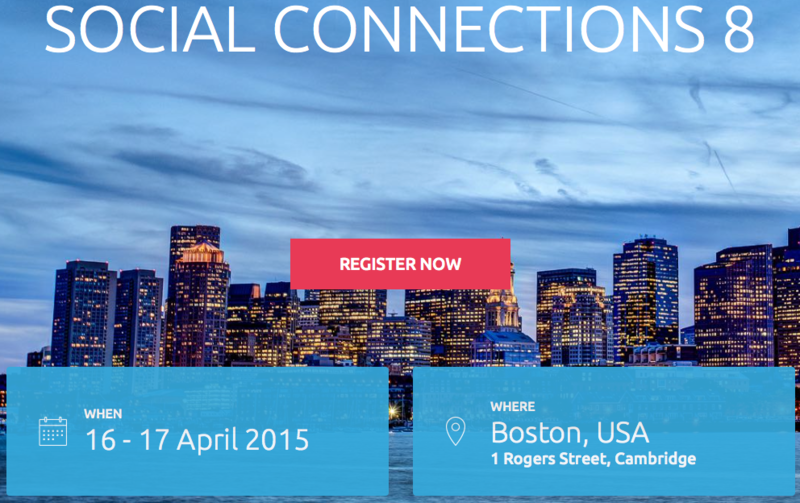 Social Connections, the IBM Connections user group, will have their 8th event this April 16-17th and this time it's coming to the US for the first time in beautiful Boston. In fact, last year, I had the opportunity to attend the conference in Prague and it was a fantastic experience. It's invaluable when I have the a chance to talk directly to customers, users, partners, and developers to gather feedback and share what we are doing with the portfolio. The agenda for the event was announced last week and you can get all the details here. Now that you've watched the video and taken a look at the agenda, the next step is to register! Register for the next event and check out the full list of speakers!